Edward Scissorhands is one of Tim Burton's greatest masterpieces. Upon its release on December 7, 1990, fans and critics the world over fell in love with its gothic overtones mixed with its portrayal of poppy suburbia. Danny Elfman's haunting, timeless score ties everything together within Tim Burton's creepy, masterful world. An incredible cast, featuring Johnny Depp, Winona Rider, and Vincent Price, make for one of the best dark fantasy films of all time. It became an even bigger cult classic as time went on - over the years, adoring Edward Scissorhands fans have been inspired by the film's underlying message of love, acceptance, and tolerance. But how much do you really know about the making of the movie? About the journey from story boarding, to script editing, to the silver screen? 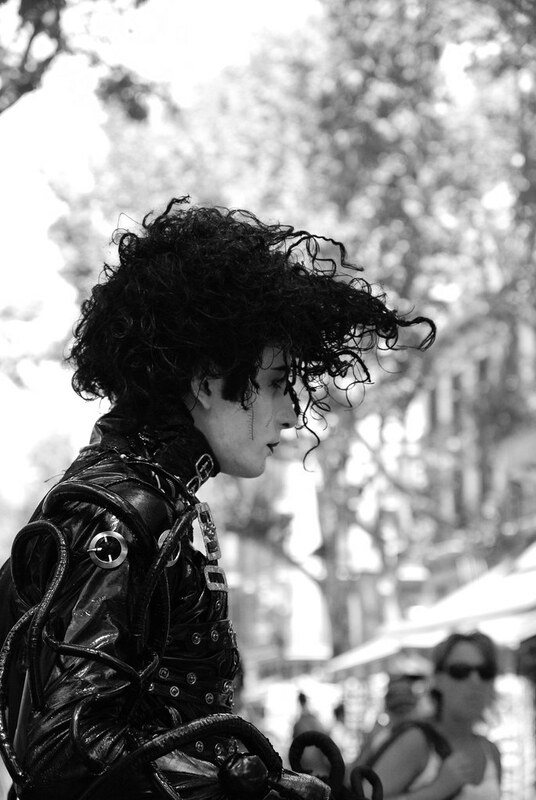 We've gathered some of the best Edward Scissorhands facts to entertain and educate you! This Edward Scissorhands trivia goes back to the film's very inception (when a young Tim Burton was still in high school), through casting (when Johnny Depp was still miles away from the super star he is today), into production, release, and beyond. These fun facts and Easter eggs cover everything from surprises and cameos, to the Edward Scissorhands stage musical, to where you might be able to visit some of Edward's topiary handiwork today! Check out this list of the best Edward Scissorhands trivia below, and be sure to let us know what you think in the comment section. Johnny Depp had a lot to do to become the character of Edward Scissorhands, including losing about 25 pounds for the role. Learning his lines, however, was the easiest part of filming this whole movie. The character Edward Scissorhands only spoke a total of 169 words throughout the entire film. Although it's weird to think about, Johnny Depp used to be a teenage heartthrob - the Justin Bieber of the late '80s and '90s. Luckily for Depp and Burton's lifelong friendship, Burton had never seen an episode of 21 Jump Street. "I didn't really know who he was," said Burton. "I hadn't really seen him in anything. So I met him sort of cold, at a coffee shop. And that was almost the best kind of thing, because I had no preconception of him as an actor," he said. "That first meeting, I knew he was the right person for it. Just because he seemed to be somebody who was, like, trapped in that, whatever 21 Jump Street thing - but that wasn't him. So he just felt like the character, you know? Somebody who was perceived as one thing and is actually something else." It's hard to imagine anyone else as Edward Scissorhands, but at the time, all manner of actors were auditioning for the titular role. Both Jim Carrey and Robert Downey Jr. were strong contenders, and Tom Hanks came pretty close. Gary Oldman was offered the role, but ultimately turned it down. Tom Cruise didn't like how dark the ending was, so Johnny Depp was given the part. Winona Ryder was offered a role in Godfather III, and after the roaring success of the first two, people thought she was totally crazy to turn it down. Rumor has it that her then-boyfriend, Johnny Depp, convinced her to do Edward Scissorhands instead.